SO HOW MUCH DO YOU GET FINED WHEN YOU’VE PARKED ILLEGALLY AT THE CREDIT UNION SCHOOL QUIZ? IF only some parents were as organised in their parking as the people who ran the Letterkenny Credit Union Schools Quiz tonight. For dozens of people abandoned their cars on double yellow lines outside the Mount Errigal Hotel in Letterkenny – to see their children compete in the annual schools event. 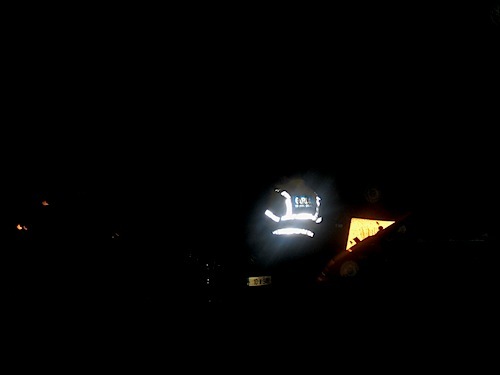 This caused chaos in the Ballyraine area as other motorists struggled to get past the lines of parked cars. Dozens of parents ended up getting their details taken by Traffic Corps gardai. And it wasn’t as if they weren’t warned. The quizmaster inside gave out several warnings, including a ‘last chance’ 15-minute warning from gardai. Some parents did leave to move their cars – but most of those parked illegally didn’t bother. “Serves them right,” said one parent. “It’s not as if they weren’t warned. The big double yellow lines aren’t there for the craic. 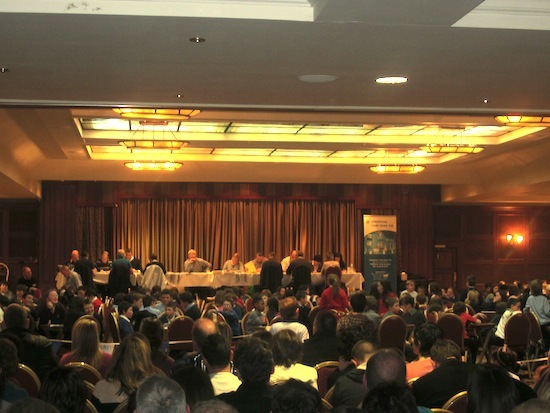 Inside the hotel the atmosphere was electric as 75 teams from primary schools in Letterkenny and surrounding areas competed against each other. And all the brains must be in Termon as Scoil Cholmcille National School won the top under-11s section. Kilmacrennan came second with Gaelscoil Adhamhnain in third. Termon tied with Kilmacrennan in the over 11s with Lurgybrack in third. It was a superbly run event from the organisers who also gave out a €10 voucher for all those who took part in the quiz to either start or add to a savings account at Letterkenny Credit Union.